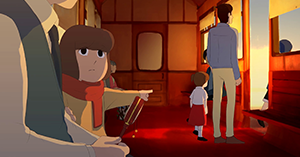 A tale of time, Outgrowth tells a story of a girl (Amberly) growing up in a world of trains with a very reprimanding grandfather (Desmond) who believes he is doing the best for the girl by restricting her from exploring other trains. 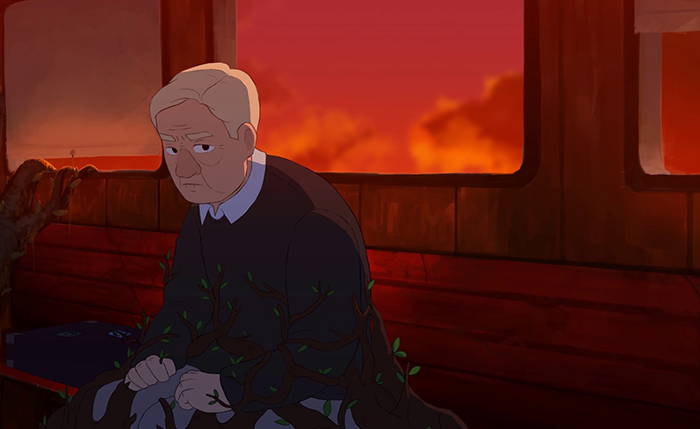 As Amberly continues to age, she would start to show signs of wanting independence while her grandfather, being the stubborn old man still forced Amberly to stay on the same train, knowing well that he himself cannot stop his age from increasing. Over time, Amberly's approach to wanting to leave and her reactions to Desmond changes. In the end she would not leave without her grandfather, but at the same time Desmond would have learnt that he cannot stop her forever and finally lets her go.